Manufacturers are not investing in improving the overall technology due to a lack of incentives from a cost perspective, while customers are also not hankering for improvements. The lack of incentives to innovate on batteries due to cheaper existing materials and customer apathy mean the IT industry is still hugely reliant on aging technology, and this inertia needs to be addressed. Fernando Gomez-Baquero, co-founder and CEO of Battery Energy Storage Systems (BESS) Technologies, noted there has been a “less than optimal” investment to improve battery technology since the Lithium-ion battery was invented in the 1970s and commercialized by Sony. Since then, most investments have been targeting electrical semiconductors and not battery technology itself. In fact, the investment trend currently has shifted to mobile devices but many companies continue to steer clear of funding innovations in batteries, Gomez-Baquero added. One of the reasons for this industry-wide apathy could be because batteries are now regarded as commodity products and thus a low profit margin business. As a result, many assemblers and material manufacturers are mostly concerned with producing high volumes of batteries at low costs, he said. 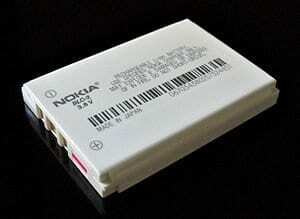 For example, Lithium-ion batteries use graphite as the anode material of a battery. Manufacturers favor graphite over alternatives such as silicon and germanium, which has higher energy density, because it is so cheap and there is little incentive to change this practice, the executive explained. Manufacturers aside, most consumers also pay little attention to the batteries they use in their gadgets as these are secondary components to them. “The more consumers know and focus on a component, the more the market will move to improve it. This is why battery innovation has stalled for a while,” Gomez-Baquero noted. The innovation in the battery space is now centered around making them slimmer and longer to match the growing screen sizes of mobile devices, particularly smartphones, rather than improving the overall technology, added Visal Narain, energy and power systems industry analyst at Frost & Sullivan. There are also technical constraints to consider, Narain noted. The widely-used Lithium-ion battery, for instance, can only work with a certain complementary chemical component to enable optimal charging of energy. This then limits manufacturers’ scope to experiment on the composition of the battery components, he explained. There are promising projects in the pipeline currently that might signal a change in priority within the industry. Gomez-Baquero pointed to the Lithium-air development for electric cars as an example. Manufacturers will need to “fight the inertia” and resist the temptation of continuing to produce cheap, underperforming batteries, but instead choose to make cost-competitive, high-performing ones. This, the CEO said, will be a “bumpy” road ahead for them.